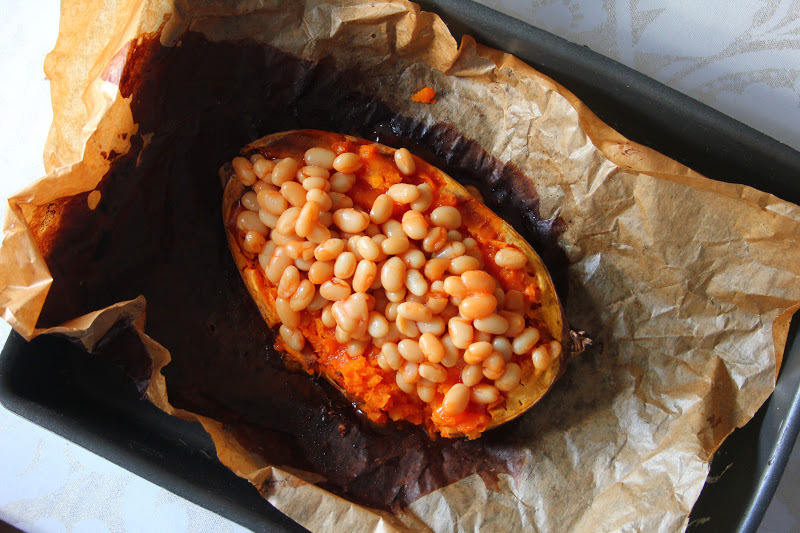 You guys, I found something better than beans on toast!!! Before you bring out the pitchforks, hear me out. 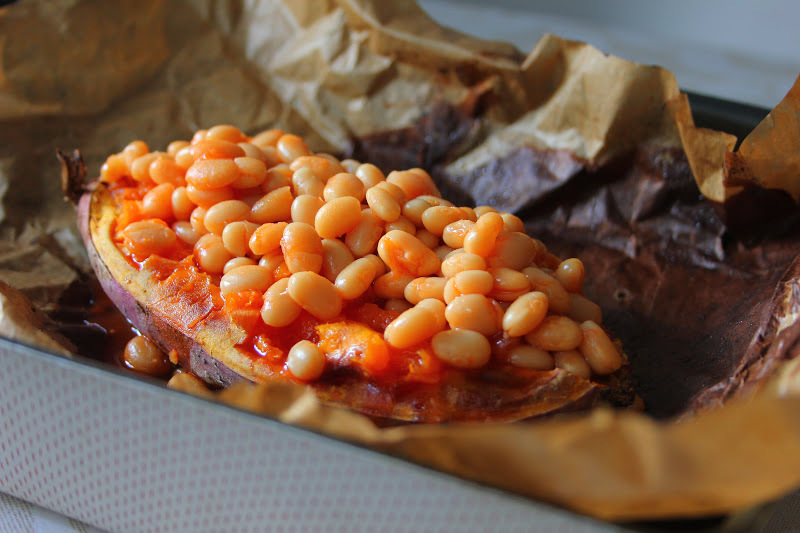 You bake a sweet potato, put some baked beans on top, and you have heaven on a plate. IT’S THE DISCOVERY OF THE CENTURY! 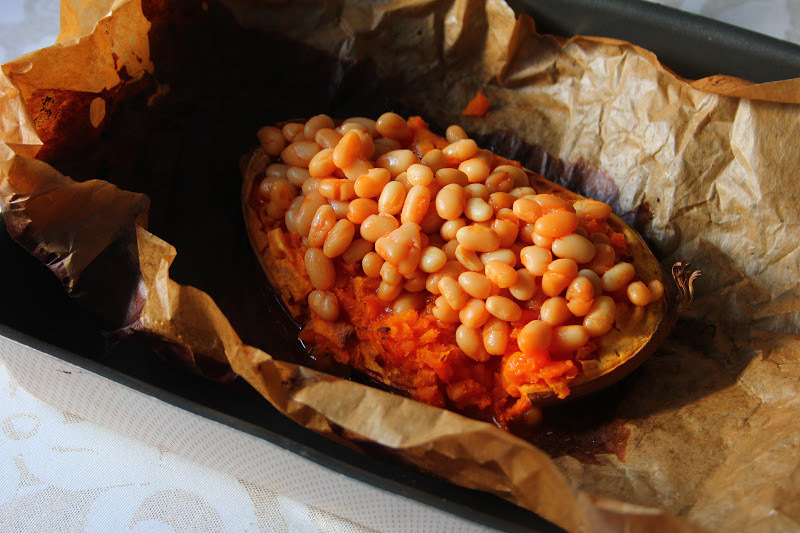 Stab the sweet potato halves with a fork; this is so that the moisture can evaporate in the oven and thus the sweet potato will cook faster. 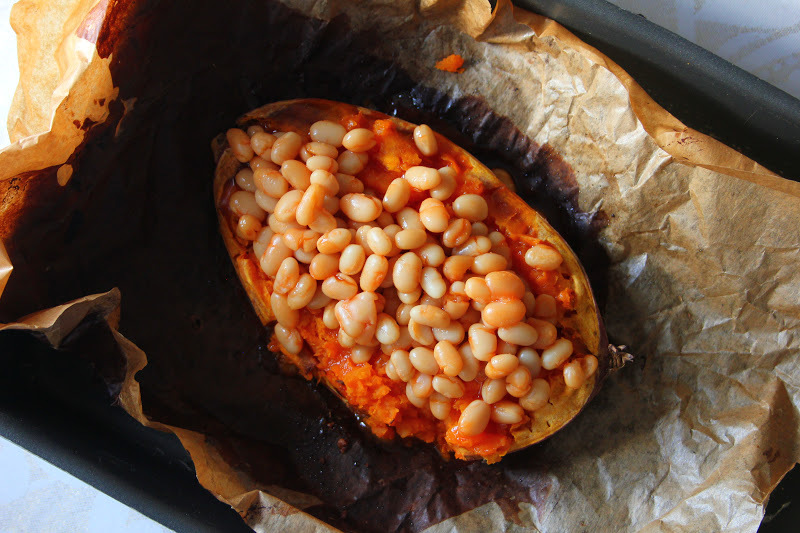 Heat the baked beans in the microwave or in a small saucepan, then pour over the sweet potato when it is baked. 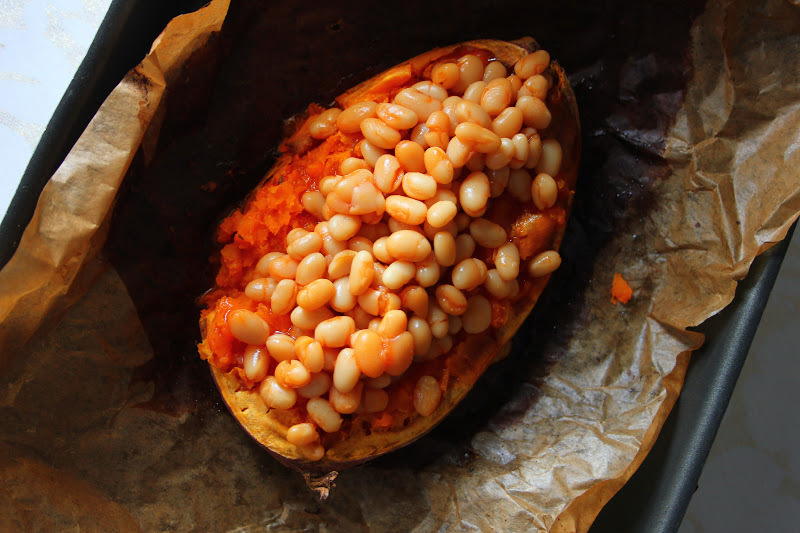 You could also try finishing it off with some grated vegan cheese on top and pop it under the grill just long enough to melt. That's genius! Will definitely try that next time.